Elf on the Shelf Peppermint White Hot Cocoa Recipe | Be Plum Crazy! 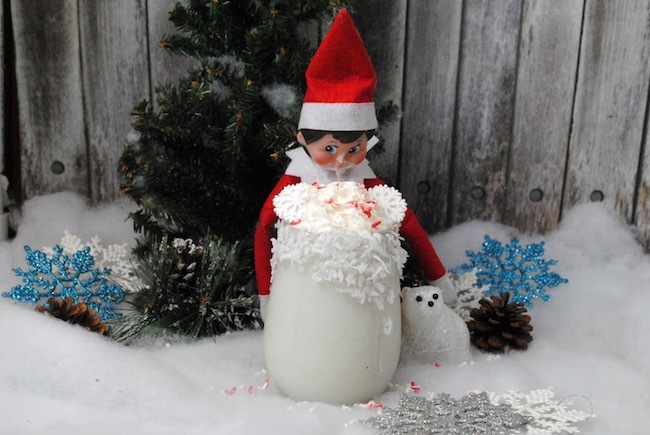 The Elf on the Shelf Peppermint White Hot Cocoa Recipe is brought to you by Just Plum Crazy. 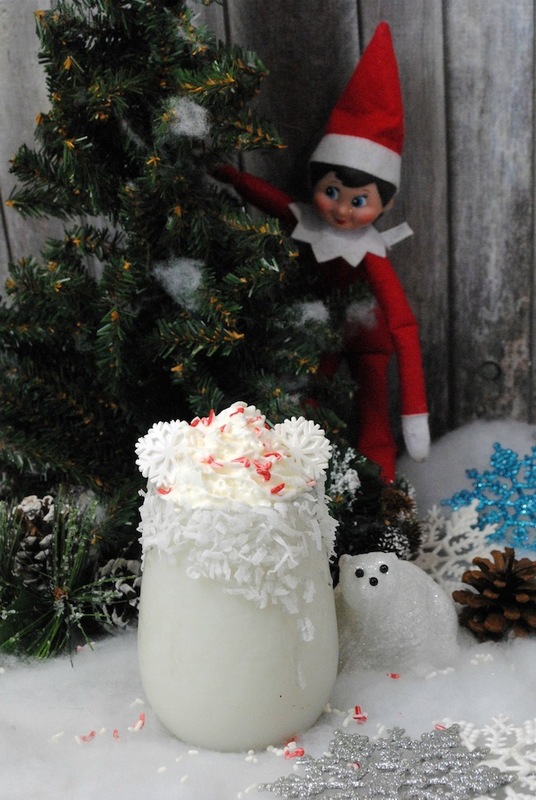 Elf on the Shelf Peppermint White Hot Cocoa Recipe! 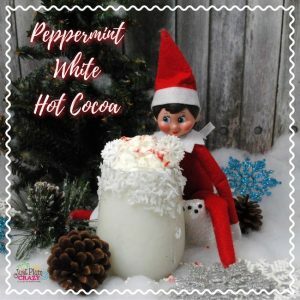 We just shared a couple of adult beverages to get through the Elf of the Shelf month and now we are sharing an Elf on the Shelf Peppermint White Hot Cocoa recipe to keep you warm. In a small saucepan, add your white chocolate and milk. Cook over medium heat, stirring occasionally until the white chocolate melts. Don’t let it boil it will ruin the flavor. Remove from heat and add the peppermint extract. 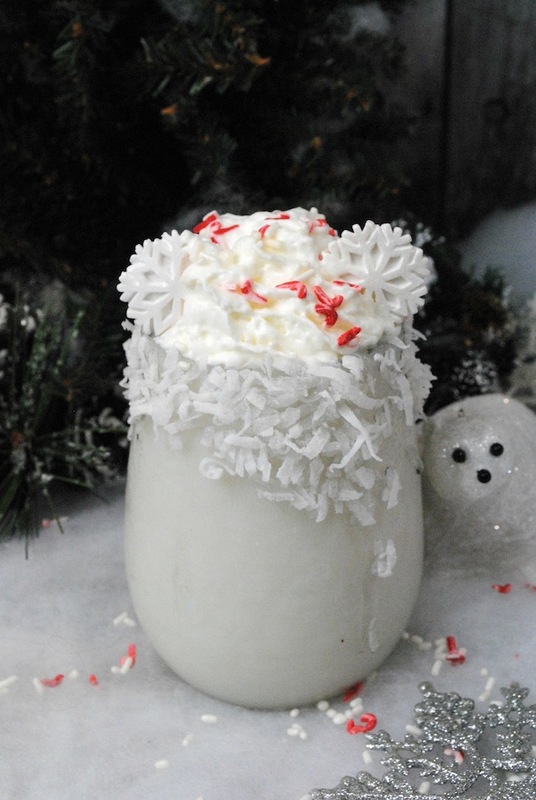 Top with whipped cream and crushed peppermint candy and the snowflakes. Don't let it boil it will ruin the flavor.